It'll take less time to transfer files from a PC to a thumb drive with faster USB 3.1 devices announced at CES, which also have storage capacity touching 512GB. The new thumb drives plug directly into USB 3.1 ports in PCs, which are faster at file transfers than USB 3.0 drives. A 64GB flash drive is available for as little as $34.99. New USB 3.1 thumb drives from OWC and Patriot Memory also work with the slower USB 3.0 and 2.0 ports. The USB 3.1 protocol can transfer data at 10Gbps, which is two times faster than USB 3.0. The drives plug directly into the larger USB Type-A ports, which resemble USB 3.0 ports and are just reaching PCs. The new drives won't plug directly into the popular USB Type-C ports, but can be connected through a dongle. OWC's Envoy Pro Mini has a sweet combination of high capacity and speed. 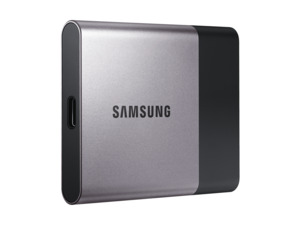 It has an SSD controller so data transfers are faster than those achieved with conventional thumb drives. A 480GB drive is now shipping for $287, a 240GB drive goes for $194.99 and a 120GB drive is priced at $109.75. Patriot Memory is targeting its USB 3.1-compatible Mega and Viper drives, which sport cool designs, at gamers. The read and write speeds of the Mega devices are faster than the Viper drives. The Mega drives comes in capacities of 512GB ($229.99), 256GB ($89.99) and 128GB ($49.99). The Viper drives have capacities of 256GB ($94.99), 128GB ($54.99) and 64GB ($34.99). For easy access to files on smartphones and tablets, some companies are making thumb drives accessible wirelessly. SanDisk has opted to put Wi-Fi instead of a USB port on its Connect Wireless Stick, which is now available with a 200GB capacity for $119.99. It lets you access files wirelessly via PCs, smartphones or tablets. It works with all major mobile and PC operating systems. Standard USB drives or SD cards can be plugged into Kingston's new storage hubs -- MobileLite Wireless G3 and MobileLite Wireless Pro -- from which users can wirelessly access files. The hub supports the latest 802.11ac Wi-Fi, so file transfers are much faster than those achieved via earlier protocols. The hubs have batteries, so they can recharge mobile devices, and the MobileLite Wireless Pro has 64GB of internal storage. Pricing and shipment information for the products were not available from the company.